Quaint cabin located on Holdens Creek Farm in Temperanceville VA. Built on our farm in 2005. 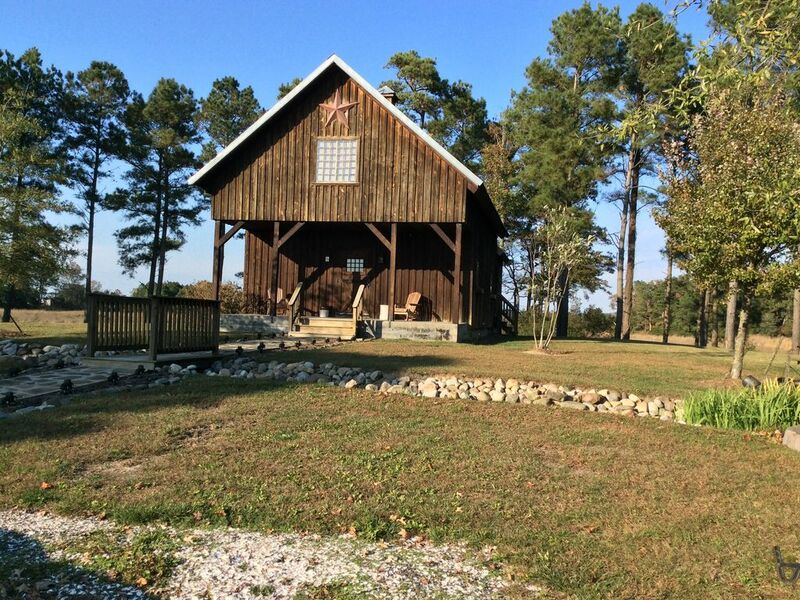 Located less than 30 minutes from Historic Town of Onancock, Assateague Beach, Chincoteague & NASA at Wallops Island. The cabin has a small kitchen, a loft with 3 full size beds, heating, air conditioning & a fireplace. It also has a pool table & dart board. Bring a boat there is a private boat ramp & dock going into Holdens Creek which leads out to the Chesapeake Bay. The cabin is great for hunters, fisherman or for someone who wants to sit back & relax in a quiet place. We checked in Friday night and we're in awe when we walked in. It was so warm and cozy, everything you need and no stress. Away from lights from City, quiet of nature. House was spotless and would love to go back again!! Great place to relax and chill out. Nice, peaceful, clean, and very comfortable place. Beautiful cabin and surroundings with natural wildlife to enjoy. We are so glad we found this lovely place. Would love to return! Communicative and helpful host. Clean cabin. The photos does not do this place justice. It is a gorgeous little hide away for anyone wanting to get away from it all for a weekend. Property was very clean. My friends and I had an amazing time and are already talking about coming back another time. Thank ya'll so much. Overall very homey and well kept! Spent 2 nights here with my best friend and her two children. The cabin is beautifully appointed and comfortable - better than the pictures! Our only minor critiques are that the kitchen is impractical - it would do better with a small counter-height refrigerator to allow for prep space and add a fire pit out doors. Overall, Karen was most helpful and accommodating and I would recommend this to anyone looking for a quite place to get away!